Rate this Article Become a part of an entirely revolutionary part of gaming history with the advent of virtual reality and the headset that started it all: the Oculus Rift. Learn more about the HMD forerunner of the virtual reality race! Become a part of an entirely revolutionary part of gaming history with the advent of virtual reality and the headset that started it all: the Oculus Rift. The Rift offers vast possibilities of virtual reality, and it is not simply limited to gaming. 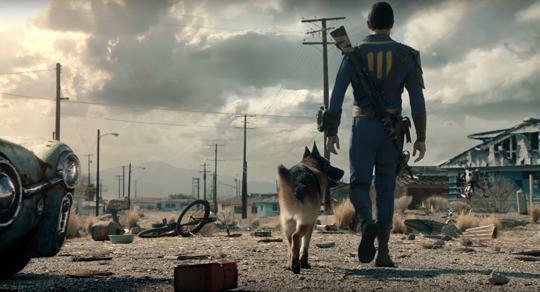 Players may watch an immersive movie filled with interactive experiences, or travel to an exotic location on the other side of the world. Spend time with virtual avatars of friends in fictional gigs or in a relaxing location - all in the comfort of homes, all in the comfort of a single headset. The Rift features state-of-the-art visuals designed specifically to optimize virtual reality. According to its website, its high refresh rate and low-persistence display work perfectly well with the headset's custom optics, allowing incredible visual fidelity and an amazing wide field-of-view. The system's tracking system fully copies the sensation of 'presence,' as if players are actually there. Special remote fitted with sensors can magically transport hands into the games themselves. According to the Rift's website, inventor and co-founder of Oculus VR Palmer Luckey had immense interest in VR even as early as 16. The self-taught engineer, hacker and electronics enthusiast initially wnated to buy virtual reality head-mounted displays to 'enhance' his experience, but old VR prototypes inspired him to make his own model. Luckey initially wanted to sell 100 of his Oculus Rift, released first into Kickstarter. His primary target was virtual enthusiasts, but inevitably gained the interest of gaming companies. Eventually, Luckey met John Carmack of Id Software, another VR enthusiast, and gave him one of his prototypes. Carmack announced Oculus Rift by demoing Doom 3 at an E3 conference, and - as told by Rift's website - 'jumpstarted' the entire VR craze. Tech professionals Brendan Iribe and Mike Antonov soon joined Carmack and Luckey in their crusade, and Oculus company expanded. By the time the Kickstarter ended on September 2012, they have already raised $2-million, which they used to develop and enhance the VR device. By 2013, people were buying the Oculus Rift, littering YouTube with tons of reactions. By 2014, Mark Zuckerberg bought the Oculus VR for $2-billion, which jumpstarted the release of its second development kit. The Rift's popularity has sparked competition from other companies such as Sony into making their own VR devices, which means the Oculus has made the first spark into jumpstarting an entirely new gaming genre. The Oculus Rift has fully invaded the VR and videogaming scene, with popular games such as GTA 5, World of Warcraft and Fallout 4 offering full VR capabilities with the device. Downloading software editor vorpX also allows players to make games 'Rift-friendly' and converts previously PC or console-exclusive titles into VR paradise. Games such as the Batman Arkham trilogy, the first Assassins' Creed Games, the Call of Duty series, Borderlands, critically-acclaimed Mirror's Edge, Mass Effect, Portal, Dead Space and the Resident Evil games are some games that are fully compatible. However, Oculus's fully immersive VR experience does not stop with the Rift - you can now enter virtual worlds with a push of a touchscreen. Oculus's Gear VR will make it all possible, and players will have the opportunity to go to immensely new worlds and realms at the comfort of their smartphones. Built to be compatible with any smartphone, slipping one in to Gear VR will immediately transport players to their virtual realities anytime, anywhere. Aside from games, Gear VR also allows players to watch movies in a virtual theater, free from distractions of the outside world. Players can now play smartphone games with more intensity, being able to immerse themselves into the environment of the games themselves and interact with them directly, allowing them to fully feel the intensity of hidden object and thriller games. 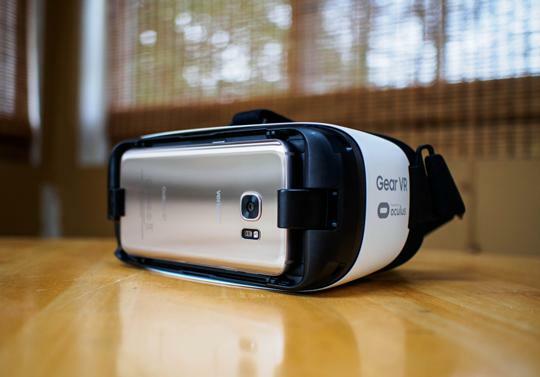 At the moment, Gear VR is compatible with the Samsung Galaxy flagship smartphones. Buying the Oculus Rift will open almost endless possibilities, but Oculus offers more accessories to fully enhance a virtual avatar's experience. The Oculus Rift comes with integrated VR audio and VR sensor for full sense-immersion, and the Oculus Touch will make players feel like they are transported into a fully new realm. Tracked controllers bring a player's hands into the virtual reality and elevate experience to an exponentially greater level. Oculus offers separate accessories such as the SteelSeries Stratus XL gamepad to compliment controller-based mechanics in games such as driving and shooting. Buying the Oculus Rift for $599 and will include the fully-immersive headset, the sensors, the remote, the cables, an Xbox controller, and Oculus launch title Lucy's Tale. Meanwhile, the Gear VR could be purchased for $99, with its games available in online stores.